The Walther PPQ Gas Blowback Pistol is an exceptional sidearm for any player. Shooting up to 290 FPS with 0.20g BBs, this pistol serves as a perfect secondary weapon for tagging your opponents in CQB environments. 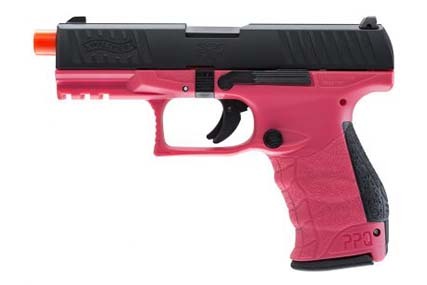 With the frame constructed out of durable polymer, this PPQ replica is incredibly lightweight. On the other hand, the slide is made completely out of metal and has front and rear serrations for easy racking. An integrated trigger safety helps prevent accidental firing. In addition, the extended trigger guard makes it easy to grip the pistol, even with gloved fingers. 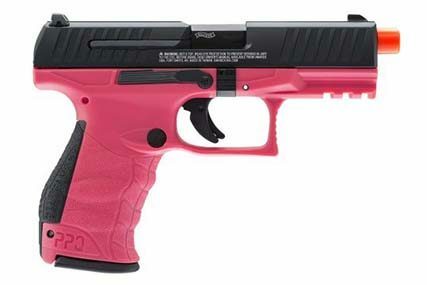 As a nice finishing touch, this GBB pistol comes with a 20mm accessory rail for aftermarket lasers and flashlights.